Wait a minute…did she just say that I don’t have to subscribe via email? Yes, you read right. I personally don’t like to receive a ton of email each day, so any way I can reduce that clutter makes me happy. About a year ago, I discovered that I could actually use RSS to subscribe to Ancestry Message Boards and RootsWeb Mailing Lists and read them in my favorite RSS reader at my convenience. I have a folder in my reader dedicated to message boards and mailing lists so they are all grouped together and I get to them when I can. For me, it’s much more convenient than clogging up my inbox (even though when I used this method, I had those emails filtered and routed to a specific folder…but for each new list, I had to set up the filter and that takes time and energy—and I have to remember to do it!). On the right is a partial list of my message board and mailing list subscriptions, currently using Google Reader. So how do you subscribe to these via RSS? Let’s look at Ancestry Message Boards first. From the main Message Boards page, you can search for or browse through message boards. There are message boards for surnames, places, and general topics. Once you have found a message board that you want to subscribe to, click on the “Subscribe to RSS” link and follow the prompts to add it to your preferred reader. I like to change the name of my subscription to something that makes sense to me, so in this example, I would change it to Luxembourg – Ancestry Message Board. Then I assign it to my Message Boards and Mailing Lists folder and now I’m good to go! Similarly, from RootsWeb Mailing List main page, you search or browse to find a mailing list of interest. When you get to the list you want, you should see a page that looks like the one below. This page contains the instructions for subscribing / unsubscribing to the mailing list—via EMAIL. From this page you can also search or browse the archived messages. You will want to choose the link that says “Browse the [mailing list ID] archives” at the bottom of the page. You will then come to a page that lists the archived messages grouped by month/year. Scroll down to the end of the page and find the RSS button. Click the button and follow the prompts to subscribe using your favorite reader. Again, I change the name of the subscription and place it in the correct folder in my reader. Of course there is more to message boards and mailing lists than following along. In a few weeks, when the alphabet challenge gets to the letter Q, I will discuss queries. And of course, there are more message boards and mailing lists out there besides the two I’ve discussed. 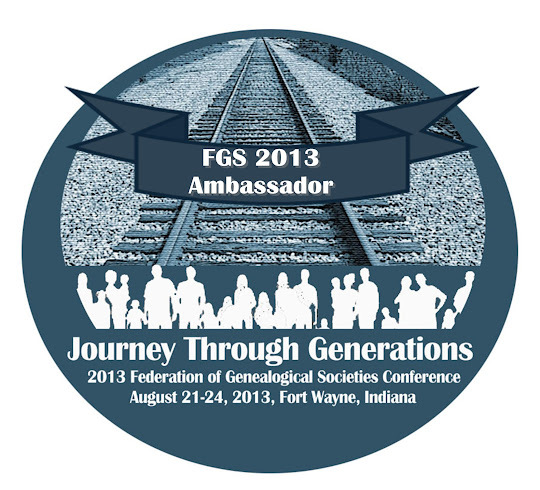 GenForum by Genealogy.com is one, and don’t forget to check out Yahoo! Groups and Google Groups as there are plenty of genealogy-related groups through both. And be sure to check out Cyndi’s List topics Queries & Message Boards and Mailing Lists for even more. Julie, I imagine the reason there is no RSS subscription option for the Rootsweb lists is because Rootsweb predates RSS, and since Ancestry adopted the hosting function for them, Rootsweb seems to be frozen in time. Still a really viable resource, though.